Regular cleaning not only windows, but also façades is a common way to keeping your house clean and sparkling inside and outside all year around. The façade is a face of your house, on the basis of which people form an opinion about the owners of the house. So, it’s not worth ignoring the façades, taking care just of the interior of your home. In case you are following the right way Cleaning Master is what you might need. Both of the above services are on the checklist of the company. Try high-quality windows and façade cleaning services right now from Cleaning Master. Introducing a worker to help you in home cleaning maybe considered as luxury but imagine your valuable time and energy is being consumed for a work, which can be effectively done by good cleaners. We at CM strive for perfect solutions for every house, our workers are efficient and they can be trusted to give you top-notch cleaning services. From one time cleanings to monthly or weekly cleanings, we will take care of all your cleaning needs. Yes, Cleaning Master is insured and bonded. We understand that it is a privilege to be in your home, and we are always careful. In the unlikely event that an object is damaged, please notify us within 24 hours. Yes! At Cleaning Master we LOVE pets. All of our maids are trained to correctly deal with your furry family member. Can I trust Cleaning Master cleaners? Absolutely. All of ”Cleaning Master” Cleaning Professionals are highly trained, background and reference checked, as well as insured and bonded. 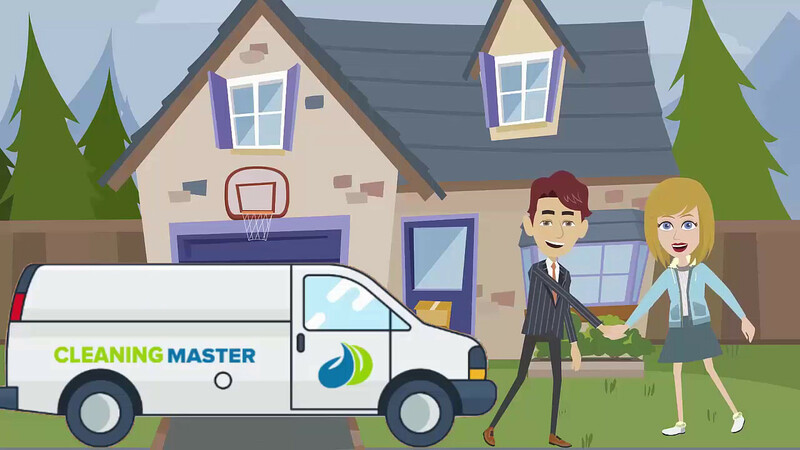 ”Cleaning Master” pricing is based on the size of your home and the desired level of service. We operate on a flat rate basis given the number of bedrooms, and we also offer hourly services. Please see our price rates on our Pricing page. Do ”Cleaning Master” cleaners bring all necessary cleaning supplies to get the job done? How often should ”Cleaning Master” clean my home or business? Tipping is not mandatory or required in any way, but you have the option of doing so if you feel that you’ve received exceptional service. ”Cleaning Master” personnel are not permitted to solicit tips under any circumstances. We accept all major credit cards. We no longer take cash or personal checks. Our online payments are processed by Stripe and though a fully secure 256 bit SSL protocol. In addition, we have full extended validation SSL security as well. Booking through ”Cleaning Master” is safe and secure; we guarantee this. Dust, dirt, inscriptions, car exhaust fumes – all this spoils the appearance of the building, damages the image of the organization and causes hostility in most people. In addition, dusty muddy windows worsen working conditions and do not meet generally accepted environmental standards. The cost of washing windows and the facade of The Flatiron District buildings. The final cost of washing the facade and windows is determined from several components: the work of washers or climbers, and the cost of chemical products. Specialist labor costs depend on the features of the facade surface – smooth, rough, porous, the presence of many architectural elements, the height and size of the object. The price is also influenced by the degree and nature of pollution. We perform a full range of work at any height. We work with a variety of facades (metal, glass, marble, stone, porcelain, steel, sandwich panels, siding, etc. ), with any decorative elements. On brick, we remove salt formations. High results are achieved through the use of modern, high-quality equipment. Regardless of the complexity of the object is always high-quality fulfillment of obligations. Upon completion of work, our specialists can apply a hydrophobic composition (hydrophobization) to the surface. This will improve the water-repellent properties of the facade. It is worth noting that there are various types of facade pollution. These are salt deposition, lime scale, leaks after repair or construction work, metal oxide, atmospheric emissions, which include soot, soot, and so on. Each type of pollution can be removed only by special chemical means. Facade cleaning works in The Flatiron District. Negative environmental factors negatively affect the appearance of the building. But everything can be fixed. To do this, contact the professionals. The appearance of the building reflects the level of success of its owner. In addition, the quality and purity of the facades of buildings are reflected in the appearance of the whole city. Gray, dusty walls cannot please people with their appearance. Washing of facades and windows in The Flatiron District involves performing work at height. But do not worry and prepare the scaffolding, which will spoil the appearance of the building for a fairly long time. Specialists in our company are engaged in the washing of facades at any height. To do this, use a special technique or method of industrial mountaineering. More than 16 years of experience in the provision of cleaning services and an individual approach to each client allows us to perform work as soon as possible. We always take into account the surface area to be cleaned, the degree of contamination, the number of employees involved, and other factors. Thus, the volume and quality of the work carried out always meets your expectations, needs and, importantly, opportunities. It is our goal to offer you the best possible cleaning service available. If you aren’t 100% satisfied with your cleaning we will come back and re-clean for free!